Preference options allow you to customize the appearance, volume, and keyboard commands of the DART Trace program. Unlike DART Range which uses a 3D environment, DART Trace uses a solid color background. This allows the shooter to focus exclusively on the target and shooting mechanics. The color of the background can be changed with the Background sliders – Hue, Saturation, and Brightness. Note: If the Saturation slider is set to 0, the Hue slider will have no effect. Set the desired color of the background with the Hue slider while the Saturation slider is set to 50 or higher. Once Hue has been set, then make adjustments to Saturation and Brightness as needed. 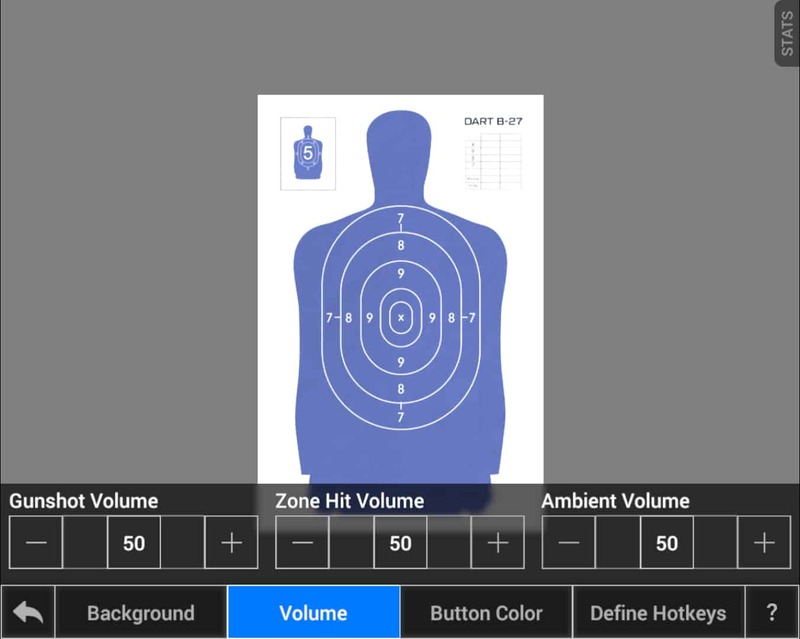 DART Trace allows you to independently adjust the volume of gunshots, zone hit sound effects, and ambient sounds (stage countdown, button clicks, etc.). Note: Volume level is also affected by Microsoft Windows as well as the volume setting for the projector or speaker. 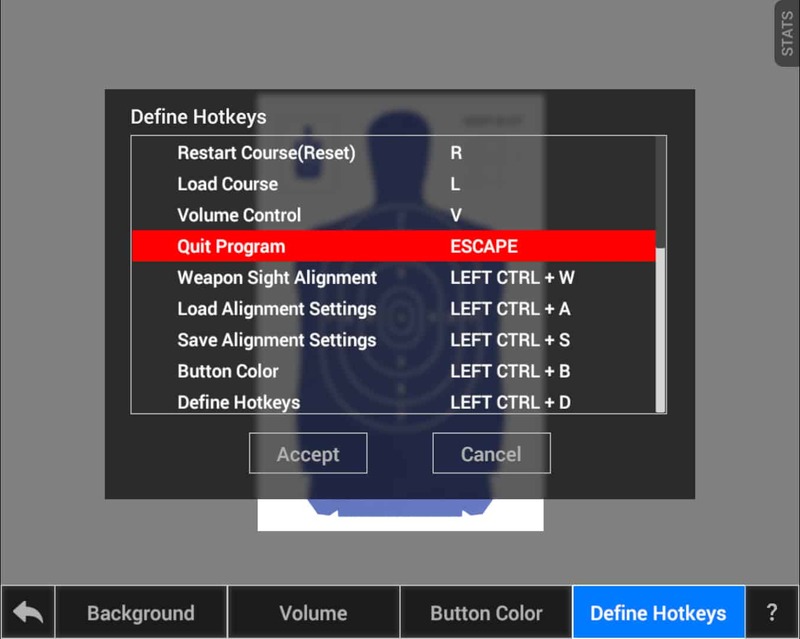 The Button Color slider sets the hue of selected buttons and other graphic elements within the program. The default color is blue, but depending on your projector and the surface it projects on, you may find that an alternate color is easier to see. Click the Define Hotkeys button. In the dialog window, use the keyboard’s arrow keys or the mouse scroll wheel to highlight the command you would like to adjust. Left-click the mouse button on the highlighted option. The highlight color will change from blue to red. Press a key or key combination. DART recognizes left and right Shift, Alt, and Ctrl keys separately. Select the Accept button to keep and save your setting.